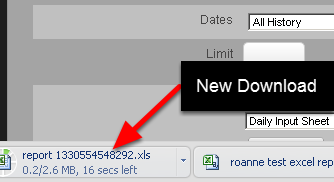 Previously, when you created and saved an Excel Report you could not open it and edit it. You could only run it for different athletes and different date periods. 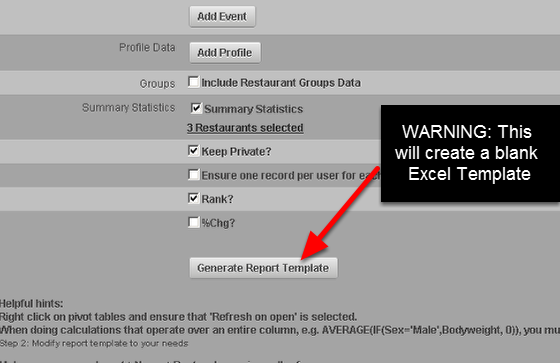 If you create an Excel Report (e.g. 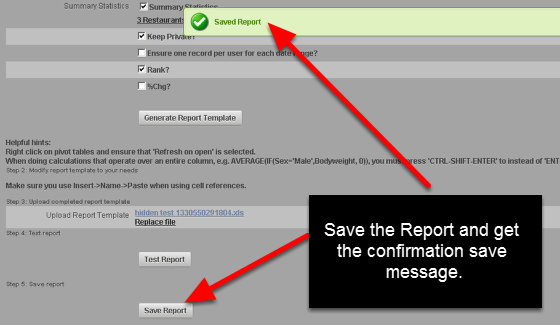 you are the owner), you can now edit that report and update the Excel Report template. Once you have followed the instructions on how to create an excel Report and it is saved, you can now edit the Excel Report. 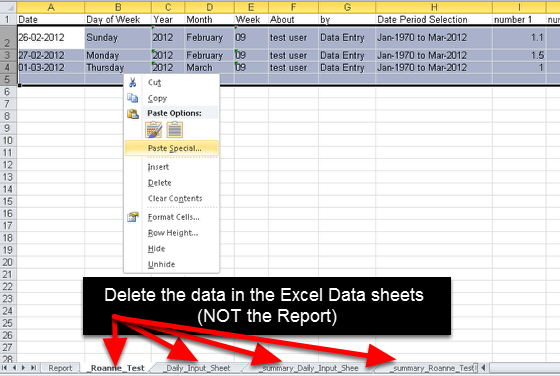 Once you have created an Excel Report, you can now edit it by mousing over the Excel Report and clicking on Edit. Previously, you could not edit reports that you had created. 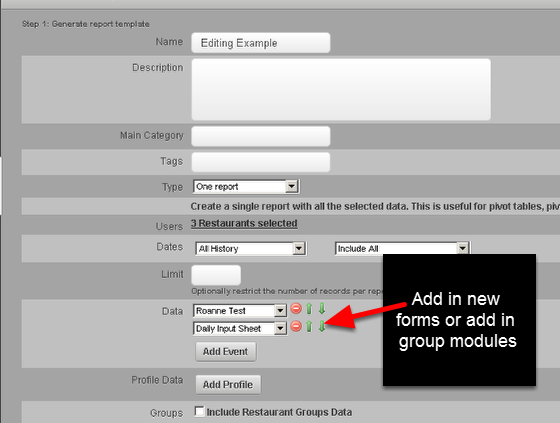 Update any links or pivot tables in your report. 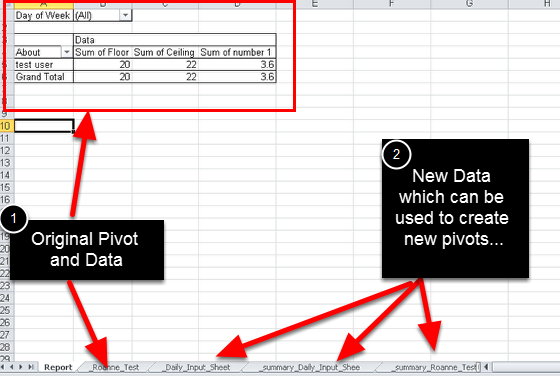 #1: The image here shows the original Excel Report pivot table created from the form called "Roanne Test". 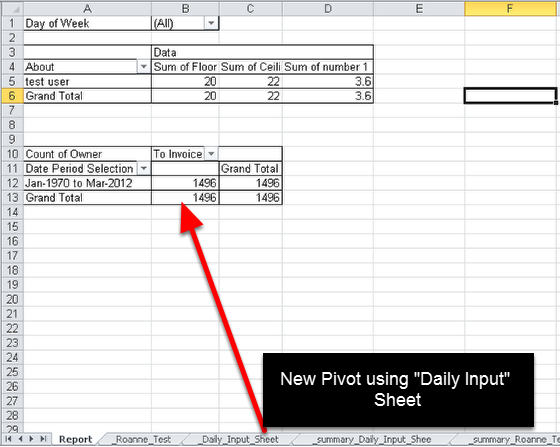 #2: New pivot tables and reports can be created using the Daily Input Event Form, and Summary data that have been added to this Excel Template. Alternatively, you may just want to update the format of an existing field number, or even the colour of a cell. This can be completed as well. 3. Run the Test Report again and check the output to ensure it is pulling through the correct data and refreshing correctly. 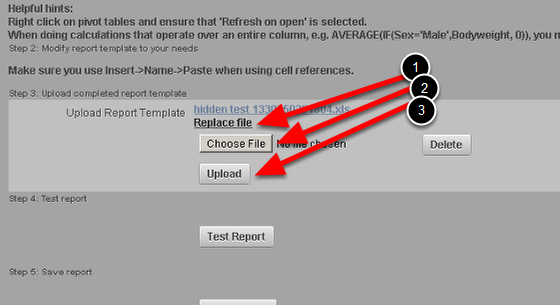 Once you are satisfied with the report, save the settings (as shown in the image below).